The GIS office at American Red Cross is deeply involved in international disaster response and disaster preparedness programs throughout the world. We are encouraging Red Cross Societies in countries around the globe to take advantage of mobile technology to improve the accuracy and quality of surveys establishing baseline and monitoring data. This will improve the quality and efficiency of programs. The training materials and links on this site are targeted for survey managers and enumerators. Most of the materials can be translated using Google Translate into many different languages. Formhub is a OpenDataKit data collection platform for survey data. 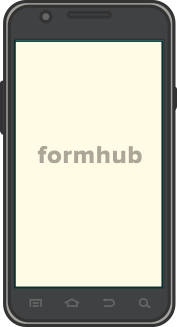 Formhub pulls surveys created via excel to smartphones or tablets for offline collection in the field. Survey managers push collected data back up to internet database, where Monitoring and Evaluation (M&E) staff can analyze, correct and download survey data in near real time. The American Red Cross has setup its own instance of formhub for use by the American Red Cross and its partners. 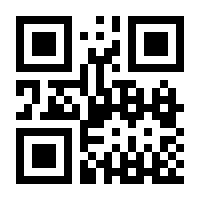 GPS Essentials is the smartphone app recommended by the GIS team for GPS data collection on mobile phones. GPS Essentials is a smartphone based alternative to traditional standalone GPS devices. Use GPS essentials to mark waypoints or record lines tracking your movement. This can be very useful when mapping project sites with poor or nonexistent maps; it's also a great way to map roads as you drive. GPS Essentials is especially helpful when you don't have enough standalone GPS devices to do the job, or where additional technology would be cumbersome. OSMAnd is an android app that allows users to download and use Open Street Map (OSM) offline. The data is free to download and use under its open license. Anyone can contribute to the map. The Humanitarian Open Street Map Team (HOT) is a major contibutor to basemap data throughout the world.